Their Chardonnay is considered a signature wine for the cool, foggy Green Valley region. Pinot Noir is the winery's rising star wine. 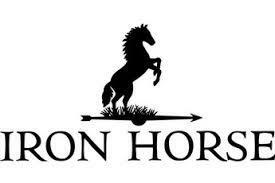 Iron Horse has been named an American icon in a reference book published by Random House called "Icons of the American Market Place". Listed in alphabetical order, Iron Horse takes its place between iPod and Jack Daniel's, validating Iron Horse's reputation as a brand backed by pride, passion and quality.